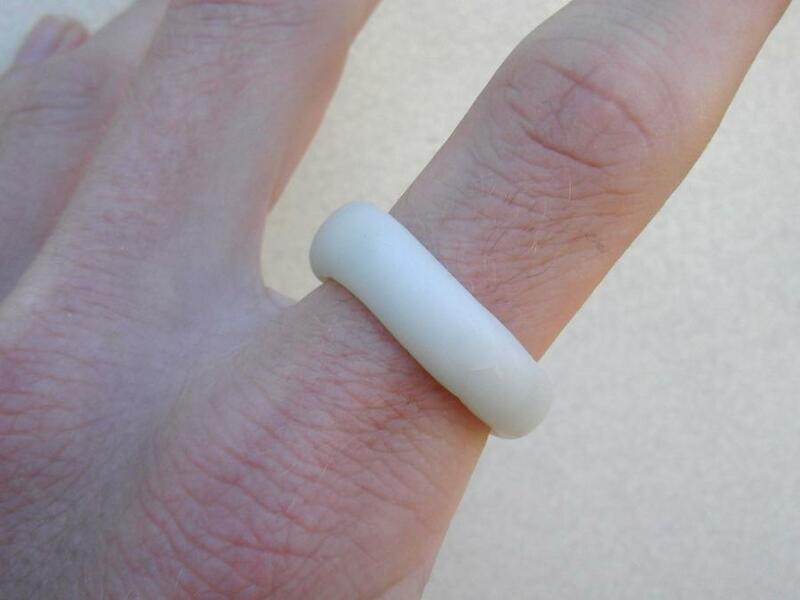 Rings are a great way to get started with Plastimake. 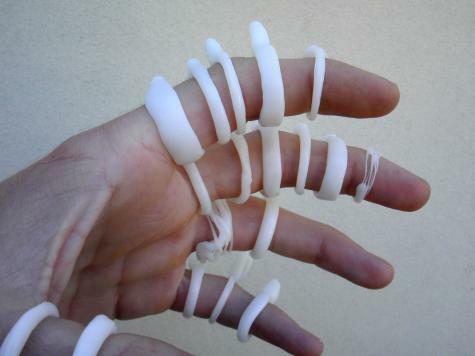 Simply wrap a little warm Plastimake around your finger, then dip your hand in cold water, and you're done! Of course, it's even easier if you can use both your hands to make the ring, rather than using one hand to make a ring on the other. If you can find a cylindrical object that matches the diameter of your ring finger, you're in luck. In our case, an old glass valve (pictured below) proved to be exactly the right size. This discovery led to the creation of many rings (also pictured below). The final ring shown is about 4 years old, and has seen regular day-to-day use. Note that it has become a little discoloured, however it's still in pretty good shape. One thing we haven't tried yet is coloured rings. Why don't you give it a go and send in some photos? 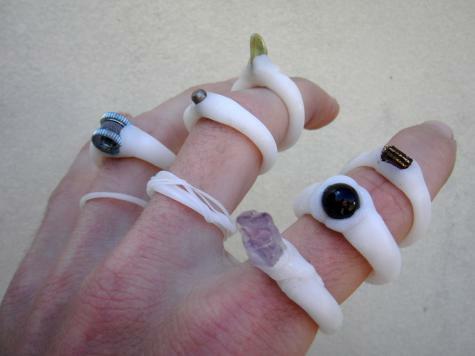 Each of these rings uses 1-2g of Plastimake.